How one of Europe's top furniture retailers used DeepCrawl to increase MoM revenue from organic search by 60%. MADE.com is one of Europe’s top homeware and furniture retailers. MADE.com provides designer furniture directly to customers without the need for third party involvement. After joining MADE.com as an SEO Manager in late 2016, Sam Hurley turned to DeepCrawl to unearth the site’s technical issues and reverse a downward trend in traffic and revenue from organic search. Sam now relies on DeepCrawl with his growing e-commerce specialist agency NOVOS, currently working with MADE.com and other brands that have similar aspirations. Poor internal linking from product pages to categories and subcategories meant Google was receiving mixed signals about the site’s most important pages. MADE.com was still using the HTTP protocol and needed to migrate to HTTPS to improve the security of their site and avoid Chrome’s ‘Not Secure’ badge. The site’s filtering and navigation wasn’t optimised for common queries that visitors frequently use e.g. terms specifying product colour. MADE.com’s nine language versions did not specify alternate language versions with hreflang, meaning users might not be directed to the correct version from search. After analysing MADE.com’s internal linking with DeepCrawl’s extensive link reporting, Sam identified an opportunity to give search engine’s clearer signals about the site’s most important pages. Sam added breadcrumbs to product pages to improve internal linking as well as adding sitewide links to commercial pages and removing sitewide links to non-commercial pages. These changes let search engines know which are the most important pages which, in turn, significantly boosted their performance in search, while also creating an improved user experience through better navigation. Moving to HTTPS was a priority for MADE.com, as it is now a standard layer of security for modern websites and Google is now marking HTTP sites with a ‘Not Secure’ badge in Chrome. 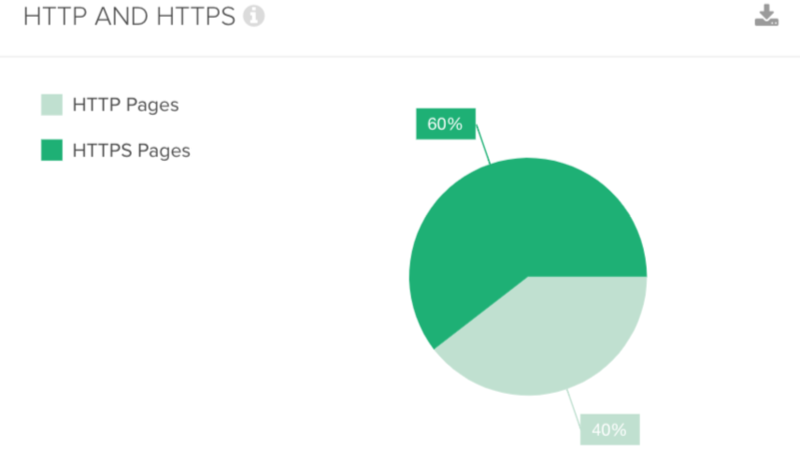 Migrations can be a nightmare, especially with large eCommerce sites, but Sam brought in DeepCrawl to ensure the migration to HTTPS was a smooth process. While testing the migration on their staging site, Sam ran a list crawl of the site and then verified that all pages and resources were correctly moved over to the new protocol using reports such as: HTTP pages, Non Secure Form Fields and Mixed Content. Sam saw that there was a lot of room to improve navigation on MADE.com especially on mobile, which was not well optimised. Through analysing the site’s taxonomy with DeepCrawl, Sam could see how best to revamp their site architecture for optimal performance in search. New pages were created to target colour terms and this was made more prominent in the navigation as this is a key consideration for users. These changes meant that MADE.com ranked for more queries including colours and improved the user experience because visitors could more easily filter products in the ways they wanted to. This had a profound impact on mobile performance and onsite engagement. After identifying the need to create connections between different language versions of equivalent pages, Sam went about implementing hreflang attributes on the site. With DeepCrawl, Sam could keep track of hreflang attributes on the site using reports including: Pages With/Without Hreflang and Broken Hreflang links. With DeepCrawl’s comprehensive hreflang reporting, allowed Sam to have full confidence that MADE.com’s complex international set up was configured in a way that is optimal for search engines to understand and for customers to use. After implementing these changes across three development releases, MADE.com saw consecutive improvements in organic visibility, which has delivered some phenomenal results in terms of increases in organic traffic and the resulting revenue growth from this channel. The volume of new users from organic search has grown 42% year-on-year. The most up-to-date reports show a 60% increase in month-on month growth in revenue from organic search. Year-on-year revenue from organic search has grown by a staggering 31%. On top of this, 85% of that revenue growth came in the second half of 2017, shortly after Sam’s optimisations had been implemented. Do you want to boost traffic and revenue to your site like MADE.com? Then you need to get started with our free trial which will help highlight and fix your site’s technical issues.